With the annual QuakeCon event now in full swing, Bethesda has announced plans to bring its lucrative mobile game Fallout Shelter to Android devices on August 13. Releasing as a free-to-download title much like its iOS next of kin, the Android port will be launching in tandem with some updates for the game itself, which will debut across all versions in the coming weeks. Making his first appearance in Fallout Shelter is Mr. Handy as a premium award, who was last seen reporting news of a nuclear catastrophe in the show-stopping Fallout 4 trailer from last month. As detailed on the Bethesda blog, here’s what the new addition will bring to the table. Following its humble release off the back of Bethesda’s E3 conference, Fallout Shelter has surpassed all expectations, even knocking Candy Crush Saga from atop the App Store. That said, the studio has stated explicitly that the mobile experience was in no way designed for monetary reasons; instead, Bethesda wanted to trumpet the Fallout brand ahead of the release of the fourth numerical sequel in November. 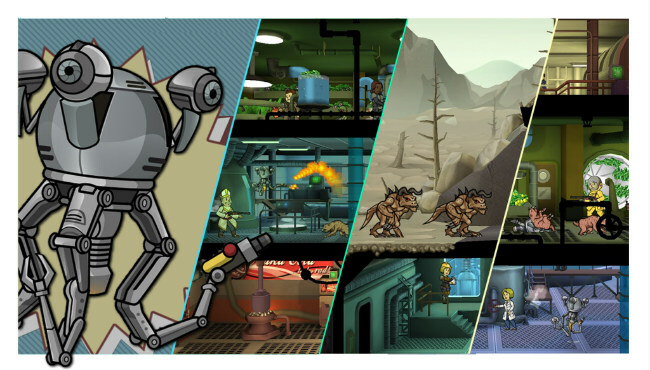 Fallout Shelter will make the jump onto Android devices on August 13.